Providing Bespoke Workshops, Creative PPA Supply and After school clubs as well as topic related performances designed to be performed in you school. 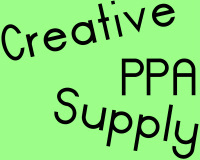 PB Arts Education covers PPA Supply using creative leads into the curriculum. Each school can negotiate offered topics with professional facilitators. We can also create a 10 week afterschool club culminating in a final devised performance based on the theme of your choice. For one off taster workshop please contact us with your proposed topic, date and the class size at pbartseducation@theatrebynumbers.co.uk and one of the team will get back to you asap. 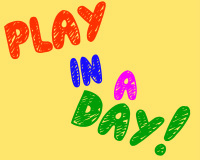 PB Arts Education can also offer your class the opportunity to learn and perform one of our unique scripts all within one school day. They shall be able to work as a team, develop confidence with their peers and experience the curriculum in a unique and rewarding process. If you are interested in learning more about what we can offer in the way of this service please contact pbartseducation@theatrebynumbers.co.uk and one of the team will get back to you asap. Arson Combated Together was a project commissioned by the Cheshire Fire and Rescue Service to produce a performance and workshop to be taken to year 7s of the Secondary Schools throughout Halton. We successfully delivered 2 tours to the schools of Halton and had great responses from pupils and teachers alike.